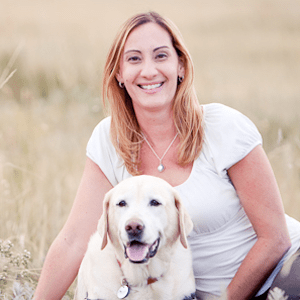 Karen Pryor Academy (KPA) faculty member Lindsay Wood Brown will lead a KPA Dog Trainer Professional (DTP) program in Richmond, Virginia (application deadline 5/1/19), and Boulder, Colorado (application deadline 6/7/19). Learn more about the DTP program! In this interview, Lindsay shares highlights from her own training career. Q: Tell us about the first animal you trained. A: I grew up on a farm in Virginia, so I spent my childhood with a variety of animals, including cats, dogs, chickens, and a number of well-loved horses. Like many little girls, I dreamed of becoming a dolphin trainer. I thought of it as a pipe dream, but I held on to the aspiration quietly, even through college. I pursued a degree in biology just in case an opportunity presented itself, and during my junior year that very opportunity arose! I accepted an internship in the animal-care and training department at Dolphin Research Center (DRC) in Florida, and my experience there solidified my career journey. After college, I spent the next seven years as a marine-mammal trainer, learning to train, and loving every moment with, the dolphins and sea lions at DRC. Q: Was there a particular dog/animal in your life that was your most important teacher? A: Lyra was the first dog of my adult life and I loved her completely and totally. We discovered clicker training together as youngsters (a 24-year-old dolphin trainer and an 8-week-old puppy) and clicker training shaped our relationship for the nearly 16 years we shared together. My transition from dolphins and sea lions to domestic animals seemed natural based on my relationship with Lyra. The career shift inspired my pursuit of a master's degree in animal behavior. Lyra made all of the transitions of the last 16 years appear seamless. She waited for my arrival home from graduate school every night, inspired my career as an associate Certified Applied Animal Behaviorist (ACAAB), and co-piloted four moves to four different states. She walked down the aisle at my wedding and, several years later, her aging, white face was the first to greet my husband and me at the door when we brought home our first newborn baby girl from the hospital. Two years later, she welcomed home my second daughter. At 11 years old, Lyra was my KPA partner! Lyra saw me through much of my adult life and taught me many things, but the most important, I think, was empathy. Empathy for my clients trying to navigate problematic behaviors in their well-loved dogs, striving to raise young children around dogs safely, trying so hard to do everything right, and recognizing that there are no guarantees with behavior. I am who I am because I shared this journey with my beautiful old soul of a dog. Q: What is your favorite activity or sport to do with your own dog(s)? A: Camping! The hallmark of the last few years with my own dogs has been the pursuit of fun activities for aging bodies (the dogs) and still-sharp minds (again, the dogs). Camping in the woods is our favorite pastime. Q: What is your proudest training moment? A: Oh wow, that’s a tough one. There’s a dolphin I love named Aleta that lives at DRC and is a successful mom of several calves. During my time with her at DRC, she experienced her first pregnancy. When her calf was born, both Aleta and the baby experienced difficulty with the nursing process. I’d trained Aleta for voluntary milk collection during her pregnancy as part of preventative husbandry care. However, I hoped we wouldn’t need the behavior and didn’t know if we’d actually be able to collect milk if we did need to try! When her calf was unable to nurse, Aleta calmly and willingly provided milk several times a day so we could bottle-feed her baby. I was so proud of her! And I’m still so proud of her. She is smart, strong-willed, and an outstanding mom. A: My days tend to be ever-changing, so I’m not sure there is anything typical about them! In the daytime, I develop and refine courses for Karen Pryor Academy. I love it! It’s so much fun to apply my behavior background to course development! 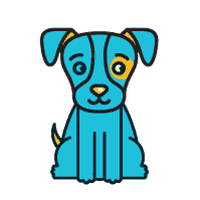 In the evenings and weekends, I work with clients who experience behavior challenges with their dogs and cats, work with trainers and behavior consultants in my behavior-mentorship program, and consult for shelters across the country on animal behavior and the development of behavior-change programs. Q: What advice would you give to a new training student? A: Find great mentors; we all need this level of camaraderie and support. Ask your questions and listen to the unique perspectives of those you trust. Their interests and experiences will be different and this blend of varying applications and unique insights is so valuable to learning. There is so much to learn from your teachers, colleagues, and (especially) those you teach. Believe in yourself. Train every species you can. And in training sessions, keep your rate of reinforcement high. Q: Do you have any student success stories you can share? A: I’ve had the pleasure of working with many very talented students in Boulder, Colorado, and Richmond, Virginia, and they’ve applied their KPA training education successfully to a wide variety of opportunities in the field. Much of my professional background is in shelter-animal welfare; many of my former students also work in animal welfare as department heads and team members in shelter-behavior programs. Some of my former students work in zoos or aquariums and train marine mammals, birds, and other exotic species. Some of my former students operate their own dog training and behavior consulting businesses successfully. Others are exceptional trainers who use their love of learning and their training experience toward accomplishments with and for their dogs, teach other trainers, train service dogs, and even breed and raise healthy, sociable puppies for other people to love. There’s no limit to what KPA students have accomplished and will accomplish. I think that’s the beauty of KPA. We teach sound training practices applicable across species. The KPA DTP program isn’t simply a dog-training course and it’s not limited to a single strategy or protocol. It’s a course for aspiring professionals or training enthusiasts from a variety of environments who want to train efficiently and effectively and, above all, who strive to set their learners up for their very best successes. Q: What do you do to continue your training education? A: I find animal behavior to be totally and completely fascinating, so I’ve specialized in behavior—how to understand, interpret, and change behavior. As an Associate Certified Applied Animal Behaviorist, it's important to me to continue my education and further my experience to provide the best support I can for my clients. I read everything I can get my hands on about animal behavior: scientific journals, articles, and books. I watch webinars, attend behavior conferences, and serve as a faculty member for ClickerExpo. I learn so much from colleagues and mentors in the field; they are my greatest source of continuing education, and they provide thoughtful conversation and support. I learn from my clients and their dogs and cats, too. I evolve and refine my own practices by teaching other trainers and learning from them as well. There’s much to learn from those we teach. Q: Outside of dog training/dog sports, do you have any hobbies? A: I enjoy anything outdoors with my little family and our 12-year-old Labrador, Goose. I have two little girls (ages 2 and 5) and one of the many beautiful lessons I’ve learned from them is to be playful in every activity. We paint rocks, create elaborate artwork from tape, paper, and glue, and run around outside at every opportunity. They gave me my own kick scooter for my birthday so I could keep up with them outdoors! I also love to read, swim, and hike! Q: If you were a dog, what breed would you be? A: Hmm… I would most likely be a blend of breeds from a shelter. I aspire to be a sighthound—for the high speed certainly, but the ability to relax on the couch sometimes would be ideal. From basic to advanced skills, there’s a course for you.